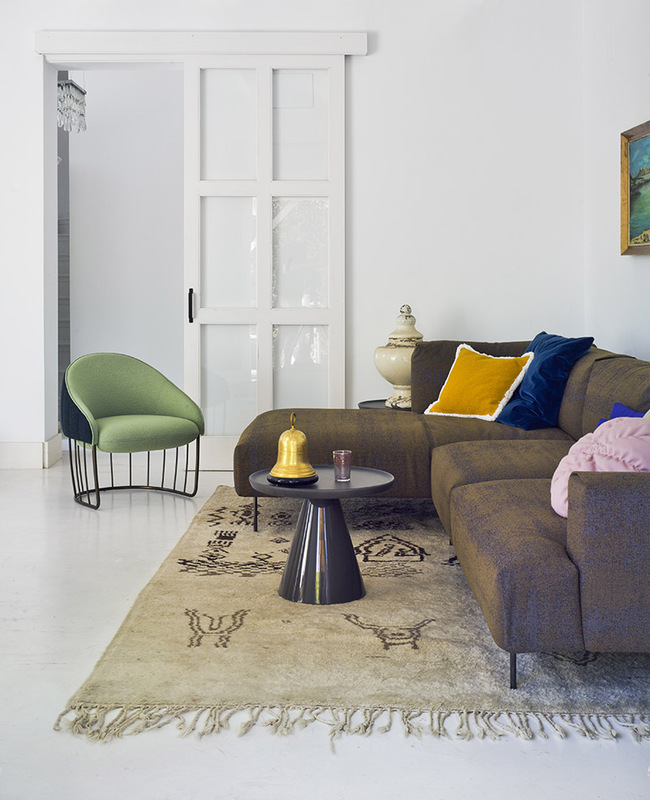 Sancal, the leading Spanish name in designer upholstery, takes relaxation seriously with its new Tiptoe sofa. The following snaps illustrate how the Tiptoe nestles into a living-room setting. A rational, contemporary look that sets off playful details like the pleated arms and tall, thin feet in copper or anthracite. As you would expect from Sancal, the sofa features an enormous variety of modular elements so that it can fit any plan, no matter how convoluted, and can be upholstered in a nearly endless selection of fabrics. Let the quiet grace of the Tiptoe take the stress out of interior design. With clean, rational lines, Tiptoe takes contemporary pieces one step forward. A design based on a philosophy of simplicity and functionality, it is a sofa that can be used with different styles to create calm, serene environments. The slim legs give the piece its name, a model that is quiet, subtle, light and nimble, as if it were tip-toeing around the living room. As well as setting off the design, the legs provide a sophisticated touch in either of their finishes: copper or anthracite. Tiptoe is irresistibly cosy. Its studied depth, variety of modules and various types of arm, mean that it can be configured to fit into any home. The use of fibre and memory foam in its cushions makes this one of our most comfortable products. Wallow in scatter cushions by adding extra deep modules or a chaise longue. RAFA GARCIA – Rafa sits at the creative heart of Sancal having designed some of the company’s classics like the Air or Eleva sofas as well as more recent designs. His latest products include the highly successful Rock table and Tecno sofa. After a period influenced by retro currents with pieces like the Folk sofa or Soul armchair, this year he has taken a turn towards minimalism to produce the simple yet elegant Tiptoe sofa. This editorial has been brought to you by Sancal.